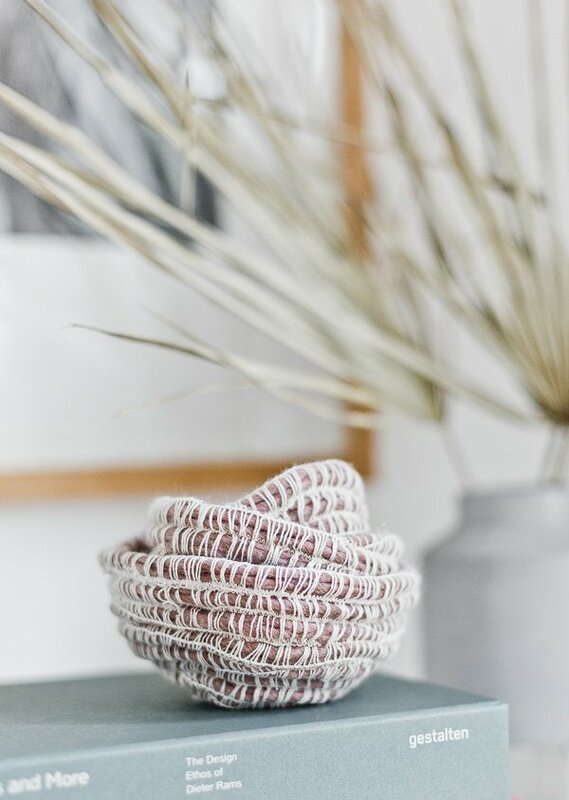 DIY rope bowls have been around for years and years now, but I recently found an amazing yarn that makes the bowls look a bit more unique. And wanted to share the results because I really loved the look. 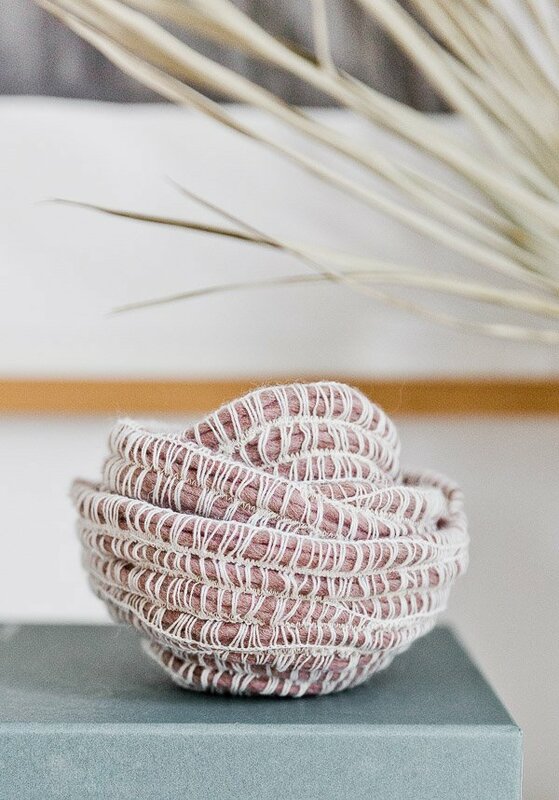 This softer, more organic version of DIY rope bowls couldn’t be any easier. They’ll take you less than 10 minute to make from start to finish and you can use for anything from desk organization to decorative storage. If you’re a fast sewer, it can take as little as 5 minutes to make a small set! Such a fast project. Click through to make your own. 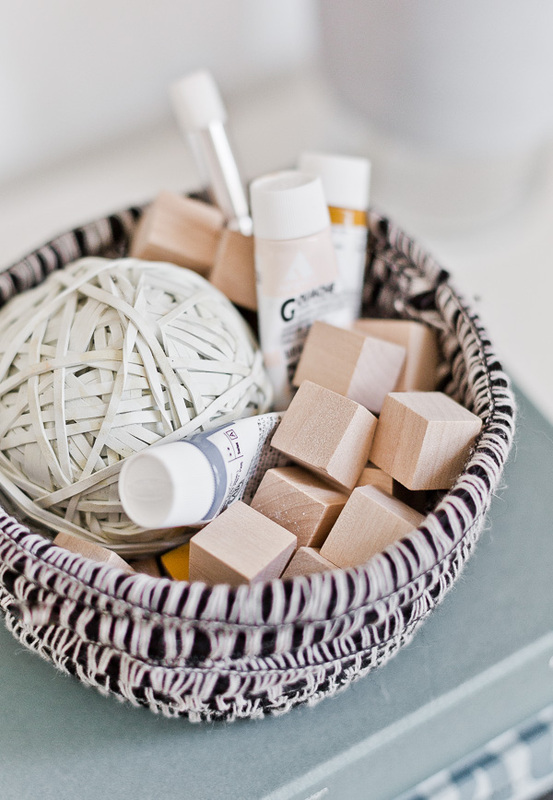 The final look of these DIY bowls relies heavily on picking the right yarn for the job. So, I highly recommend using the exact yarn I used (Martha Stewart Crafts Mambo Yarn – which is available here in several different colors and costs less than $6). And you can make 2-3 bowls with one $6 skein. 2. Sew a straight line across the coil forming the base for the bowl. 3. Using the zig zag setting on your machine, begin to sew the yarn together while continuing the coil effect. We found that using a low stitch width helped secure the coils more. 4. Once you have your preferred size for the base, you will start to form the sides of the bowl by putting the base on a 90 degree angle. 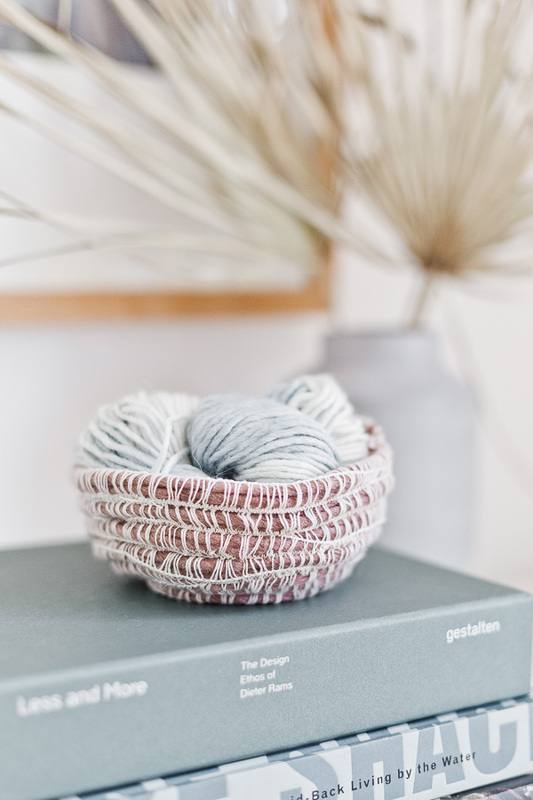 Then continue the coiling effect by sewing the yarn together (still using the zig zag setting) until you have reached your preferred size for the bowl. 5. When you have reached your desired size, you will complete the bowl by gradually angling the end of the yarn inside the bowl while sewing. Backstitch and cut off the end of the yarn to finish. The end result is a much softer bowl (not as stiff as rope), so keep that in mind when deciding what to use them for. I think they’d be great for desk storage, a baby’s room, or even just sitting on a credenza with some books like I did with mine. That’s it for this more organic modern version of the typical DIY rope bowls out there. Hope you’ll give ’em a try. What do you think of this twist on DIY rope bowls? Think you’ll give it a try? This bowl is so cute! 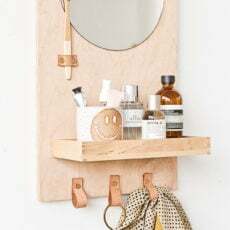 I totally need to make one for my nightstand! This would be perfect for your nightstand Paige! I’m going to put one of mine by my nightstand now that you mention it, actually. It’d be good for collecting all my jewelry before I got to bed each night, etc. Great idea! Since you are already using the sewing machine, you can make your own mambo style yarn by using the zig zag stitch on a wide width and feeding a few strands of yarn through, like you were sewing them together. Make your own combo of matching or contrasting colors. 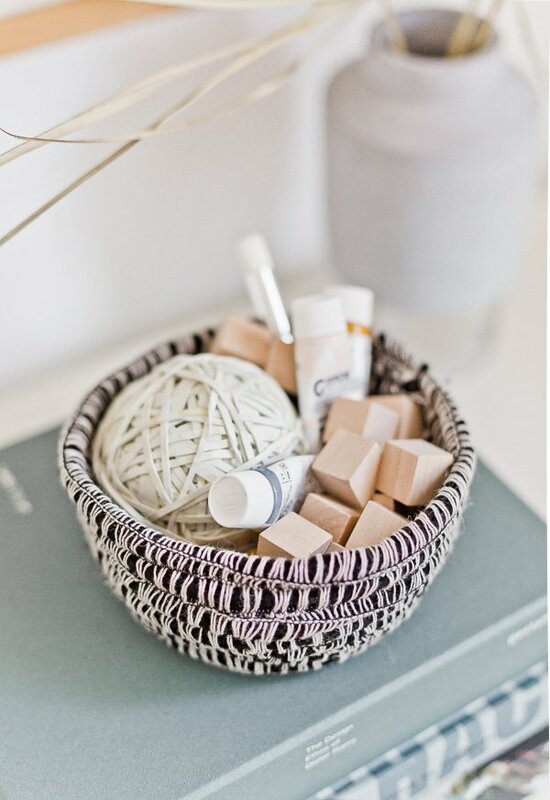 Probably fun to use the yarn for other things in addition to the bowl after you make it. They look soooo beautiful, amazing how easy they are to craft! Gotta try making those! Thanks Michelle. Definitely, give these a try! So, so easy! And affordable to make. 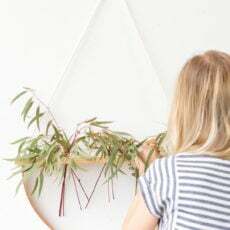 These look so cute and seem like such a simple project to do. I wish I wasn’t afraid…yes, afraid of sewing machines. But I do new a few sewing people who might like it. Thanks for sharing. 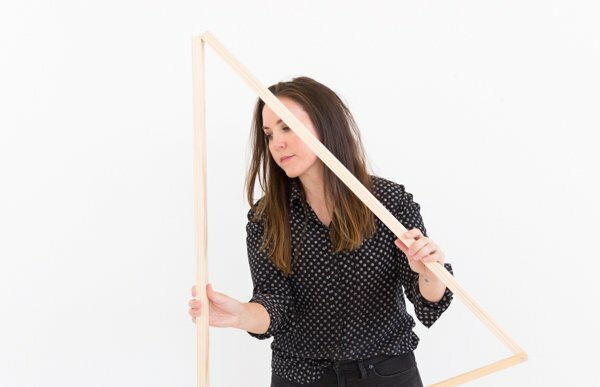 This is a great beginner project, Susan, if you ever get over that fear. 🙂 But otherwise, I’m sure you could recruit one of your sewing friends to make you some. They’re SO quick to make!